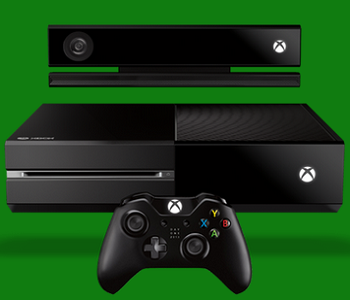 It turns out that the Xbox One won't support external storage options at launch after all. Microsoft confirmed back in May that the Xbox One internal hard drive is non-replaceable, which could prove problematic if it ever fills up - and let's face it, 500GB doesn't go as far as it used to. But Microsoft's Alberto Penello told Engadget that the console will support external storage devices through its USB 3.0 port, and that external hard drives will function identically to the internal unit, including for download storage and game installs. Alas, that's not exactly correct. At some point the Xbox One will presumably support external drives, but not in November of this year. "The future plan is definitely to support external storage, much like we do on the Xbox 360," Microsoft's Larry Hryb, aka Major Nelson, said in a Q&A recorded at PAX. "My understanding is that feature will not be there at launch, because the team is working on some other things, but it definitely is on the list. I don't know when it will come in, though." Is this a big deal? I can't imagine it will take Microsoft too terribly long to implement the feature, although I also have trouble imagining why it's so complex a process that it can't be ready on launch date; either way, while it's unlikely that anyone will fill up their internal drives within the first few days of release, it's yet another instance of Microsoft appearing to drop the ball by promising things it can't deliver. Somewhat oddly, Sony is taking the completely opposite approach regarding storage: The PlayStation 4's 500GB hard drive can be removed and upgraded but Shuhei Yoshida, president of Sony Worldwide Studios, confirmed on Twitter a few days ago that the external hard drive cannot be used to install games.